ITM reacts to the signing of the Belgian declaration of commitment about the quality of pharmaceutical products in developing countries. Belgian Deputy Prime Minister and Minister for Development Cooperation Alexander De Croo, ITM and other non-governmental actors in Belgium commit to the use of quality medicines in their activities in developing countries. In these countries an estimated quarter of all medicines in circulation is of poor quality. The signing took place on Wednesday 25 October 2017 in the Egmont palace in Brussels. ITM Director Prof. Bruno Gryseels: "The Belgian commitment on the quality of medicines has an impact on the lives of millions of people worldwide. Like often in international health, Belgium has been a leader on the quality of medicines for years." " More than 10 years ago the QUAMED network was created as a result of the collaboration between the Institute of Tropical Medicine and the Belgian Development Cooperation. QUAMED brings awareness to the biggest players in the provision of pharmaceutical products about the issue of medicines of uncertified quality. The network also strengthens the quality assurance and provision system of involved partners. That collaboration was and remains unique in the world." "As a result, Belgium has extended the strict regulations on the quality of medicines to its own pharmaceutical products that are exported to countries outside the EU, and it is the only EU country to do so. As long as this principle is not applied in the entire EU and other producing countries, dubious Belgian producers can simply move their legal seat to a different European country." " By signing today’s declaration, Belgium also commits itself as donor country to the quality of medicines in development programmes and will keep NGOs and other actors to this principle." 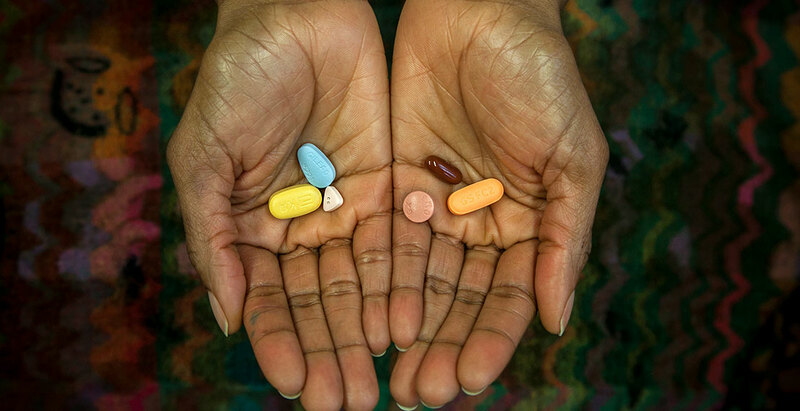 According to estimates, NGOs who are part of the QUAMED network spend more than 200 million euro in pharmaceutical products and around 15 million people benefit from their operations in low- and middle-income countries. ITM also performs research on the quality of medicines in developing countries. Last week, during the European Congress on Tropical Medicine and International Health (ECTMIH2017) experts from around the world discussed the issue of medicines of uncertified quality. These discussions led to the conclusion that international organisations like the WHO are limited in their ability to intervene, and that it is up to individual countries to take responsibility. Raffaella Ravinetto is in charge of research, networking and advocacy on quality medicines at the Institute of Tropical Medicine Antwerp. She is also chair of the Be-cause health working group on medicines. "Non quality-assured medicines have detrimental consequences that may go unnoticed for years, and they mainly hit disadvantaged communities. Consequences include serious harm for individuals who don't get cured, for public health by contributing to resistance and for the health system as a whole because non quality-assured medicines erode public trust," says Raffaella Ravinetto.